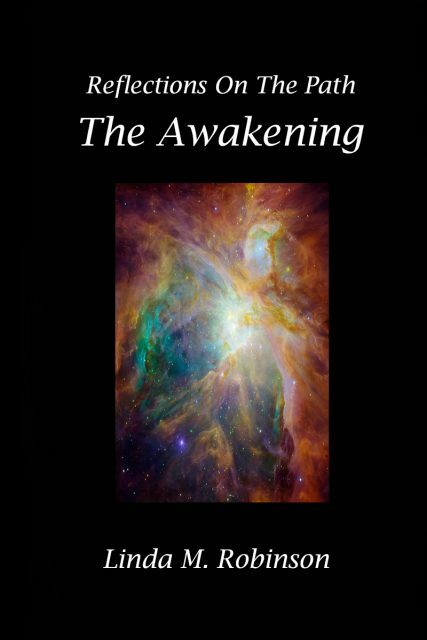 Linda’s book, Reflections on the Path: The Awakening, is the story of her journey during this lifetime. It shows her path as a series of stepping stones, in which each step led to the next adventure as she became open to the possibilities. Her path went from a conservative, traditional background to one of awakening and embracing spirituality and metaphysics…Going from being afraid to let anyone do energy work on her to embracing all aspects of energy…From knowing about only one religion to embracing a universal path of Love and Light. In traveling her path, she found her voice and developed the courage to speak about what she has learned. She also shares how her guides and teachers began communicating with her, first answering her personal questions, and then bringing through channeled messages of a universal nature. As her understanding increased, the Ascended Masters and Angelic Realm began bringing wisdom teachings for the benefit of all.